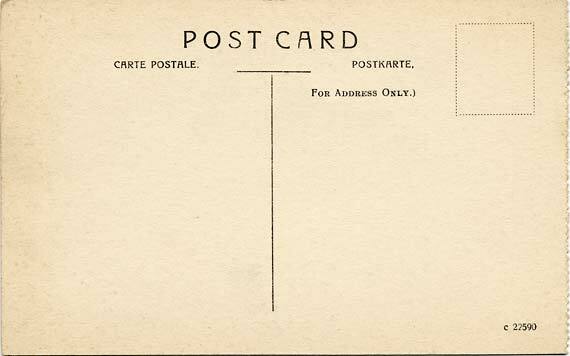 Most postcards reproduced on this web site are by publishers whose names appeared on the cards. However, for those on this page, there was no publisher's name or photographer's name on the card. 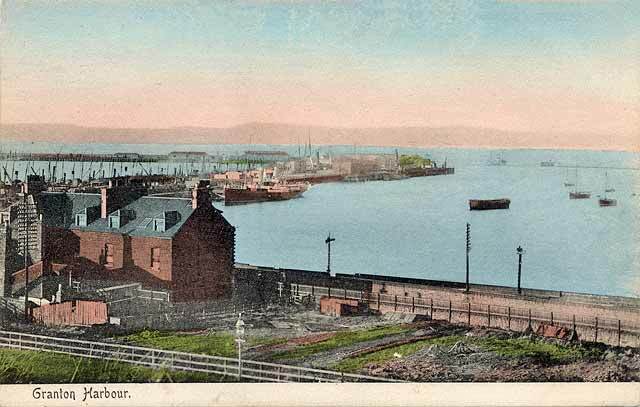 Most of the postcards on this site are of Edinburgh, but occasionally I have found cards from elsewhere in Scotland that are of particular interest, or relevant in some way to Edinburgh. Here are some. When I have finished adding postcards to this page, I will sort the table above into alphabetical order again. This is an attractive series of cards, printed on heavily textured paper. The pictures have the appearance of oil paintings with brush strokes. Do you know who published these cards ? When? How many cards in the series? These cards were distributed in batches of eight (all the same view) in window envelopes as shown below. The individual card were separated by sheets of tissue paper. The description was 'Photogravure Post Cards - Edinburgh South Side'. There is no publisher's name on the cards or on the packaging. All other 'Caledonia Series' postcards in my collection were published by J M & Co and/or by Marshall Wane & Co, Edinburgh. But the postcards below have no publisher's name on them. I have seen 'Waverley Series' postcards published by J M & Co and/or by Brown & Meikle. But the postcard below has no publisher's name on it.